Huge, hulking brutes, much taller and broader than a man, the Ironjawz rumble across the mortal realms in search of a good scrap. To them, nothing is so pleasing as the sound of battle – blades on metal, screams of the dying, the clamour and rattle of absolute violence is music to their ears. 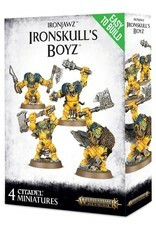 The most fightsome of all orruks, the Ironjawz are rightly feared all across the realms as their numbers swell and their Waaagh! grows ever larger. 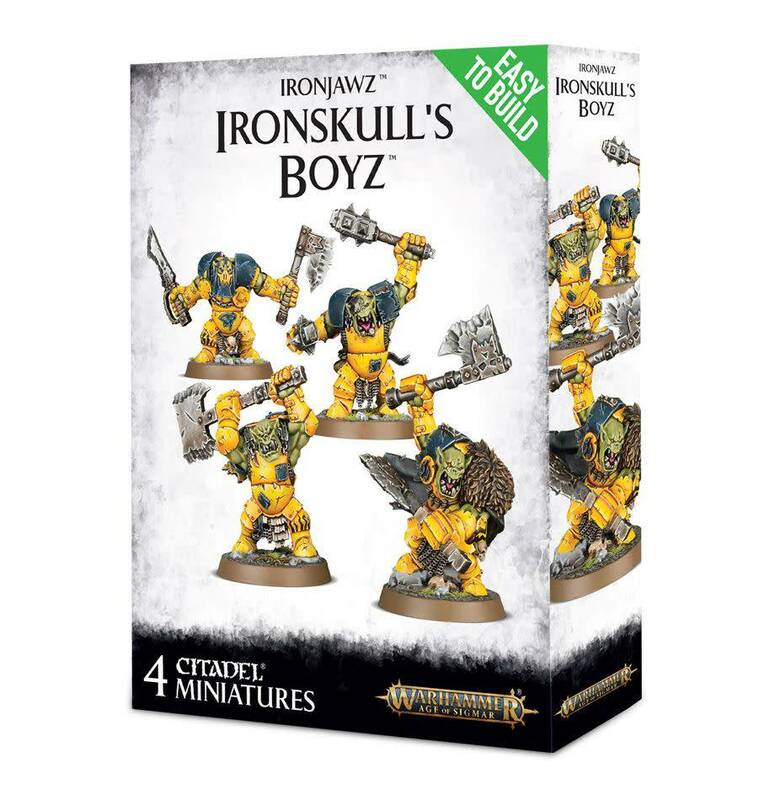 Designed to be as easy as possible to assemble for new hobbyists while being detailed enough for the hardiest veteran to appreciate, this is a set of 4 Easy To Build Ironjawz. Push-fit, with no glue required, these are incredibly straightforward to put together. - Basha and Hakka – 2 other Ardboys – are armed with Orruk-forged choppas and smashas. This kit comes as 19 push-fit components, and is supplied with 4 sculpted 32mm round bases. A warscroll containing rules for fielding these miniatures as a unit in games of Warhammer Age of Sigmar is included.